"To ensure that Tesla is well prepared for the future, we have been undertaking a thorough reorganization of our company," the memo obtained by AFP said. "As part of the reorg, we are flattening the management structure to improve communication, combining functions where sensible and trimming activities that are not vital to the success of our mission." Musk noted that Tesla planned to continue rapidly hiring for key production positions. During an earnings call early this month, Musk said Tesla was on the road to hitting goals in coming months for the more affordable Model 3 and achieving profitability by the end of this year. "We are going to conduct a reorganization, restructuring of the company this month, and make sure we're well set up to achieve that goal," Musk said during the call. "In particular the number of sort of third-party contracting companies that we're using has really gotten out of control so we're going to scrub the barnacles on that front." Word that some Tesla executives are being dropped at the curb came just a month after an internal memo offered productivity recommendations that included skipping the chain-of-command when it is more efficient. "Any manager who attempts to enforce chain of command communication will soon find themselves working elsewhere," Musk said in an email to workers shared by Global Equities Research analyst Trip Chowdhry. In the email, Musk decried excessive meetings as a "blight" and advised workers to walk out of them if they weren't contributing. Chowdhry said in his analyst note Monday that Tesla is improving the Model 3 production rate, and "it has a lot to do with Elon Musk getting hands-on and sleeping on the factory floor for almost two weeks." Tesla has set up a company in Shanghai focusing on technology development in China, a crucial market for the US firm as the country plans to scrap ownership limits for foreign automakers. 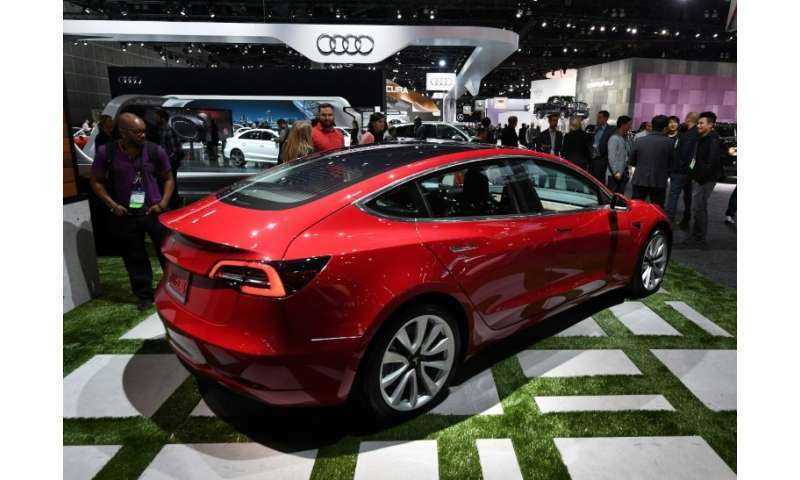 The US firm's Hong Kong subsidiary established Tesla (Shanghai) Limited on May 10 with a registration capital of 100 million yuan ($15.8 million), filings on the National Enterprise Credit Information Publicity System showed on Monday. Musk said during the earnings call that the California company will announce a China location for a new "Gigafactory" that will produce batteries as well as vehicles. Knowing your boss is sleeping in a cot on the floor would certainly keep me on my toes. It probably wouldn't take too many nights of lousy sleep on the floor to make any manager irritable, and likely to fire anyone who appeared even a little culpable. He's not even sleeping on a cot. He's got an old used sleeping bag and a couch that is hard. No pillow. And the couch is narrow. So narrow that if he squirms at all, he falls off onto the carpeted cement floor. The usual deal...where it takes is the kind of gumption that your competitors don't even know exists.